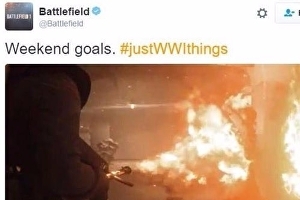 The official Battlefield account tried to get a hashtag trending on Twitter – only to find its attempt backfired. It’s a slightly different tone to that taken in the game itself, with Battlefield 1’s campaign a relatively mournful affair while its multiplayer makes lip service to the nature of the war in its chaotic Operations mode, even if it can’t escape the inherent silliness of online multiplayer first-person shooters. 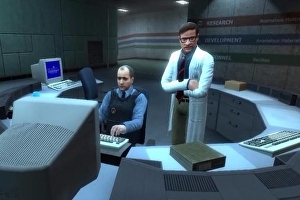 The Black Mesa team is really going to town remaking the final Xen levels of Half-Life 1, hence why they’re taking so long. But we now have a summer 2017 completion target to go by. DriveClub looks to have received its final update and it’s a scorcher, folding in some 15 new tracks from the recently released DriveClub VR for free. The urban tracks follow on from an update back in February this year that introduced DriveClub’s first city-based track which bought it one step closer to the hallowed Project Gotham Racing. Since then, Sony closed Evolution Studios, with many of the staff seeking refuge at a new team that’s part of Codemasters. 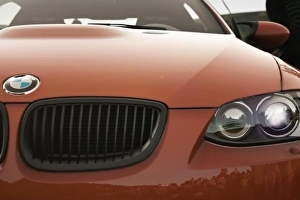 The new urban tracks featured in DriveClub VR, though the limited visuals of that particular game – a necessity in order for it to hit the frame-rate required for a decent VR experience – meant they weren’t seen at their best. Weighing in at some 5.75GB, the new update – – is as generous in file size and content as many big expansions. The Football Manager series has been trashed on Steam by a wave of angry Chinese fans who wanted an official translation of the game. They also harassed Sports Interactive boss Miles Jacobson on Twitter, and he said he’d received a death threat to his family. There are more than a thousand pre-release reviews on Steam (the game is due 4th November), but only 30 per cent of them are positive. 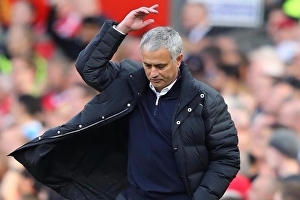 Overall, FM17 is rated Mostly Negative, which is unprecedented in the game’s consistently strong history. Even last year’s has suffered, as a string of recent Mostly Negative reviews pulled the overall reception down to Mixed. After eight long months, the first season of Hitman reaches its climax today as Agent 47 takes a trip to Hokkaido, Japan. The lovely Martin Robinson has already played through the latest episode in the series, so I invited him to join me for a little chat about his experience while showing off some new gameplay from the level. 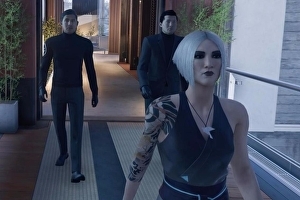 It’s a completely spoiler free look at the season finale so, if you want to get a taste of 47’s next location for assassination without having any surprises ruined, take a look at the video below. Id Software’s Doom reboot was one of 2016’s most pleasant surprises. A meek marketing campaign and Bethesda’s choice to not send out review copies early mired the comeback with a dose of skepticism, but thankfully the final product prevailed, mostly due to its astonishing single-player campaign. While the multiplayer and SnapMap level editor had their followers, Doom’s main draw was its solo mode. 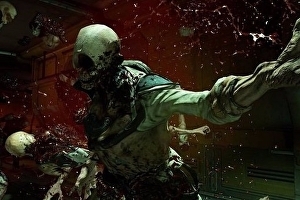 As such, many were crushed when Bethesda confirmed that all of Doom’s DLC would be based around the competent but unremarkable competitive multiplayer modes. But there’s good news: id Software did craft new single-player content, and it’s absolutely free. Even better, it’s glorious. It’s not the single-player add-on you may have expected, however. Doom’s from late October doesn’t add any new levels, enemies, bosses, or weapons – you know, the things people often look for in single-player DLC. Instead, id decided to tinker around with the content it already had and remixed its wonderful single-player campaign into an astonishingly good score attack Arcade Mode. Here’s how it works: each stage can be played on any difficulty with all of your power-ups unlocked. From here, you get points for killing enemies and picking up, health, armour, and score-boosting items. Consecutive kills increase a score multiplier (with a max capacity of x32) and you receive bonus points for head shots and glory kills. Each stage has a certain point-based criteria to snag bronze, silver and gold medals. 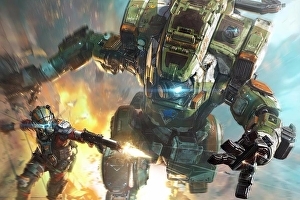 Chart-Track, which tracks physical sales only, said Titanfall 2 didn’t match the launch sales of the original game. 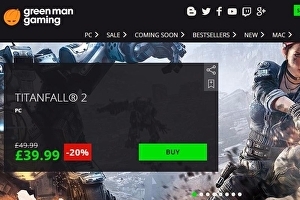 Green Man Gaming users are have complained about receiving broken Titanfall 2 and Battlefield 1 keys. Customers took to Reddit over the weekend to express their frustration after finding keys they had bought were invalid, and keys they had bought as part of pre-orders simply failed to turn up. Reddit user bought two copies of Battlefield 1: one for himself, the other for his brother, with the intention of playing over the weekend. One key worked, the other was invalid. Remember that old soldier game Delta Force? Tip-toeing around those hills trying to work out which pixels were scenery and which were enemies, then sniping from afar – or getting up close with your knife if you were skilled enough. Remember F-22 Raptor? Those were days of flight simulations. Those joysticks! 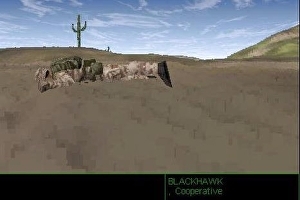 Or how about Commanche, the helicopter combat sim – remember that? If you do remember those games, you’ll remember Novalogic, the company that made them – and the massive boxes they came in. And if you remember Novalogic, news that THQ Nordic has bought its assets will mean something to you. David Pittman knows how to make a good hub. The arcane library at the heart of his game Eldritch is one of my favourite examples ever: a wonderful ramble of books and wood panelling and off-kilter geometry that continues to reward exploration. Now Slayer Shock is here and, although the hub it comes with is small and fairly basic, there’s still something delightfully evocative about it. It’s a campus coffee shop, lit up bright despite the late hour, doors locked against the horde. Here is a place to lounge around and plot the next sneak attack in a guerilla war waged between slacker heroes and a gaggle of dandy vampires who seem intent on taking over the town. There’s nothing to discover really, but it doesn’t matter. I have always struggled to leave a coffee shop without dawdling a little. Slayer Shock is a chummy spin on Buffy the Vampire Slayer, and the coffee shop is the place where you buy new abilities, choose which research strand to kick off, and equip the weapons and other bits of loot you’ve uncovered. As with the rest of the game, it has a programmer-art feel to it – in both Eldritch and NeonStruct, Pittman managed to make his blocky graphics feel like a genuine aesthetic, and that doesn’t quite hold true here – but the choices you’re faced with are interesting nonetheless. Head out with a stake or a holy water water pistol (or both)? Carry extra healing bandages or splurge on the ability to move silently? Learn a boss vampire’s weakness, or just find out where it’s hiding and take your chances in combat regardless? It all benefits from a very tight loop: everything you buy is paid for with dust earned by completing missions and killing elite vampires. Kill vampires to get better at killing vampires. Onwards and upwards. I like that. The core of the game takes place outside the coffee shop, mind. Each evening you choose between a selection of locations in which vampires have been up to their vampiric tricks. (There is strategy involved in the choice, as each location has a sort of vampire heat level that will go up if left unattended for too long, and will eventually see you losing the area entirely.) Boots on the ground, the places themselves range from farms with fields full of pixelated corn to college grounds, train stations, and rundown neighborhoods, all built from simple blocky objects that are procedurally scrambled. Also scrambled are a simple range of mission types: rescue a set number of townsfolk, knock off a set number of elites, steal stuff from crates – there’s a lock-picking mini-game – or just patrol the environment, which means racing across the map to activate a distant marker and then racing back to the start.